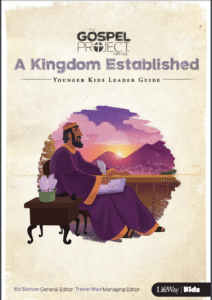 Get Kate’s weekly emails with the info you need about our Sunday Gospel Project curriculum so YOU can be the Primary Faith Trainer. Chronological approach allows kids to see how Christ fits into the whole Bible. Spend equal time in the Old and New Testaments, learning how every story connects to the gospel. Bible stories brought to life through creative teaching elements. Family resources and age alignment make it easy for families to grow in the gospel together.